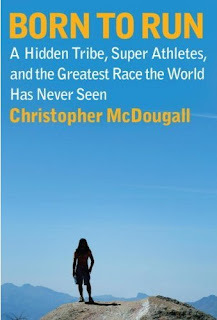 I've been enjoying the book "Born to Run" by Christopher McDougall for a number of reasons. First, because it's about ultrarunning, a subject that fascinates me. Second, because the author takes amusing pot shots at Dean Karnazes, whose book I just finished. Mostly I like it because it centers on the Tarahumara - the indigenous people of Mexico's Copper Canyons. The Tarahumara society is represented very positively, almost utopic, with running as the core activity of their lives. The Tamahumara are incredible runners who can run a hundred miles or more without resting. There is a lot of discussion in the book debating the benefits of modern running shoes compared with the purer technique of these people who run with simple rubber bottomed sandals. I believe that the growing interest in minimalist running has been fueled by this book. I'm not ready to give up my stability running shoes but I am interested in some of the techniques mentioned in the book. I've been constrained to the treadmill over the last couple of days so I decided to run in the neighborhood this morning provided that conditions were safe. I'm home today so I waited until 7:30 AM to go out, thinking that the extra light would improve safety. The roads were almost completely free of ice and snow and I set off thinking about the Tarahumara method of running - smaller steps and upright form - and decided to try it out. I've read that increasing the number of strides per minute helps to increase speed. I usually run at around 80 steps/min but today I averaged 84 with the first half of my 3.63 mile run averaging slightly higher. The running felt easy, almost too easy, and I imagined that I would return home to discover I was pacing close to 10 min per mile. I had great energy on the run and I had planned to cover about 5K but took some extra roads near the end because it felt so good. When I completed my run I was surprised to see that I averaged 9:06 per mile. It was such an easy experience that I questioned the accuracy of the Garmin and immediately checked my route on Gmaps which verified the distance and pace. 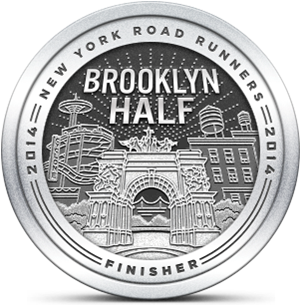 I am still amazed that I maintained such a decent pace without working very hard. There could be many reasons for this: the time of day, the amount of rest I'd had or the perfect 25 degree weather. I'm hoping it was due to the new technique and I will try again tomorrow, perhaps pushing my speed a little to see how that works. I only averaged 81 steps/min when I hit my 5K PR in November so I'm very curious to see how that equivalent amount of effort would work with a cadence of 84. I'm optimistic that I've found a way to improve my speed without a lot of extra work. I've learned that nothing good is easy but in this case I'll happily make an exception.